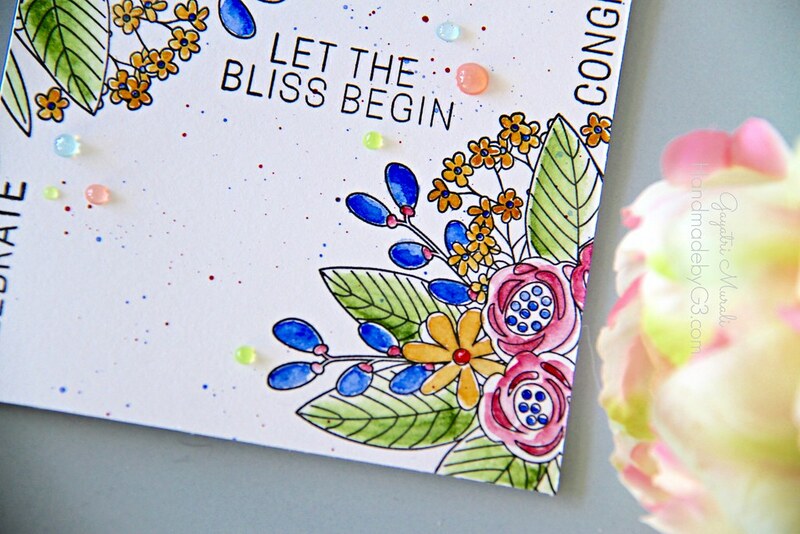 I have a card share today made using Simon Says Stamp June card kit: Blissful! I really really love this card kit. 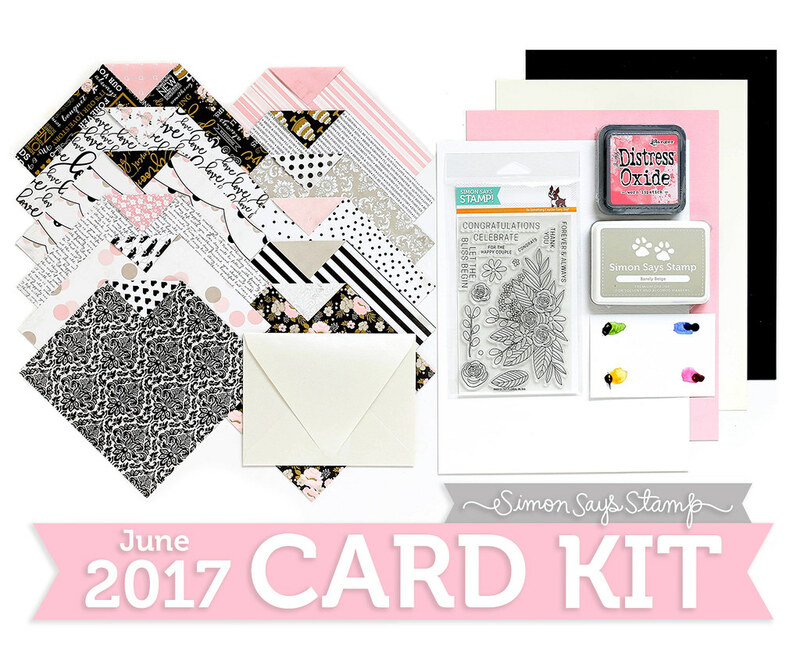 Absolutely pretty especially the colours, pattern paper and the stamp set. 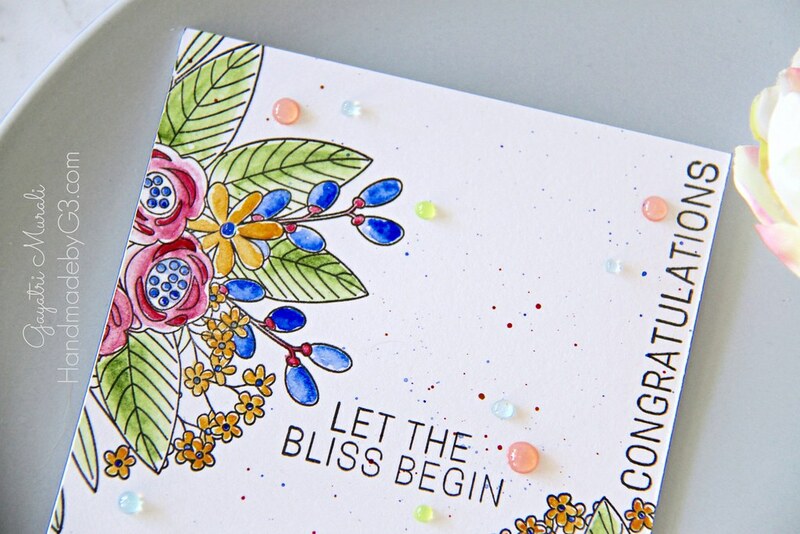 I used the stamp set to stamp and colour to make this one layer card. I used the watercolour paper in the kit. I trimmed it to the size of the card front. Then I stamped floral cluster from stamp set on the diagonally opposite ends of the watercolour panel using Versafine black ink. Then I used the watercolours that came in the kit to colour the images. Then I used MISTI to stamp the sentiments. I stamped two vertically and one horizontally in the middle of the card front. I also used the same watercolours to add splatter to the card. I could not stop there. So I added Nuvo Jewel Drops to complete the card. 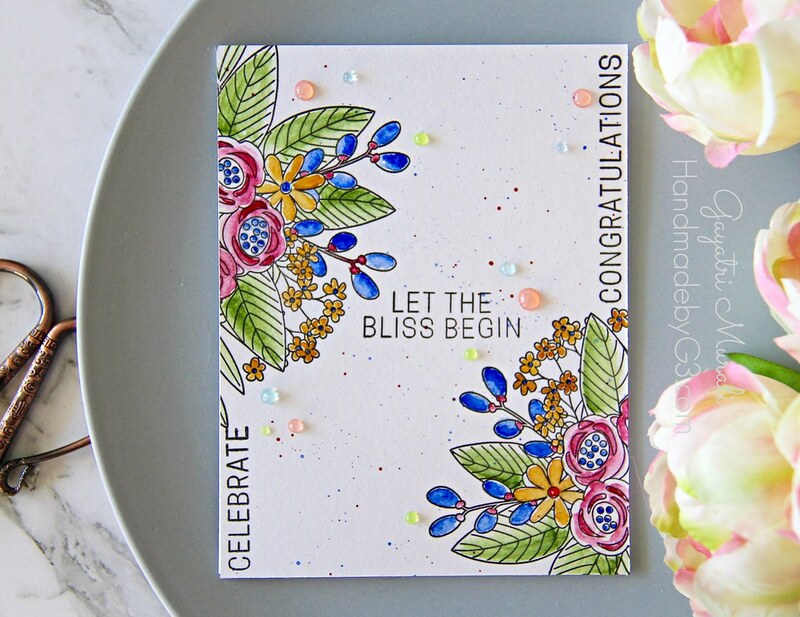 Although the kit is sold out, the Blissful stamp set is available for purchase separately.